Projects overspend and overrun. Business cases perform less well than expected. Managers tighten their grip and initiate more procedure. But little changes and the scenario repeats, and it has done so for decades. Losing other peoples' money and goodwill is almost an innate characteristic of projects. This may be a norm but it need not be the natural state of affairs. 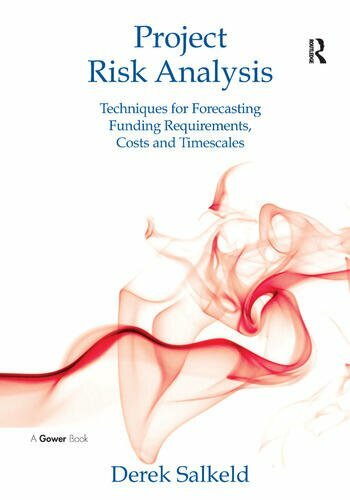 In Project Risk Analysis, Derek Salkeld shows how easily assimilated techniques developed out of formal risk analysis methods can be used to increase the chances of projects being delivered to the oft quoted objective of on time and to budget, to quality and to popular acceptance. These techniques need to be understood by managers so that they can foresee the benefits of directing their teams to carry them out, and so they can inform their clients about the potential consequences of the investments they wish to make and how the project team plan to assure these. The three parts of the book explain how you can: ¢ calculate the funding required for a simple, short project using risk based methods to generate answers that are more accurate than traditional estimating ¢ apply the techniques to inform an investment decision for a major project, taking into account whole of life costs, operations and revenues ¢ design and implement specific management controls that will assure the outcomes of the investment decisions. Risk and opportunity are inherent in projects and yet, whilst many organizations invest heavily in project management methodologies and processes, few project sponsors, project board members or managers understand the effect these might have. The approach taken in the book is to understand how the risk and opportunity in a project will affect its funding requirements and its business case outcomes, and to use this understanding to devise management controls that will benefit both the investor and the project manager. This is essential reading for anyone concerned with adding value to projects, programmes and the organizations for which they are delivering them. Derek Salkeld has been a risk analyst and risk manager for 20 years. He trained as a geophysicist and led a signal processing systems design team for a UK military systems manufacturer. He has extensive experience of multi-disciplinary engineering projects covering a wide range of assets including: the assessment of Network Rail's IT investment programme; the development of an asset investment model of waste water treatment systems owned by the Water Service of Northern Ireland and the business case for the London Cross Rail system. He was risk manager on both the recently opened London cable car and the East London Line projects. He is currently advisor to London Underground Limited on its stations capital works programme and to Genesis Power on its Tekapo hydro electric projects in New Zealand. He is a doctoral research student at the University of Exeter researching risk management methods.